Multi-award winning author Patricia Reding leads a double life. By day, she practices law. By night, she reads, reviews a wide variety of works, and writes fantasy. She lives on an island on the Mississippi with her husband and youngest daughter (her son and oldest daughter having already flown the nest), and Flynn Rider (an English Cream Golden Retriever). From there, she seeks to create a world in which she can be in two places at once. She took up The Oathtaker Series as a challenge and discovered along the way, the joy of storytelling. 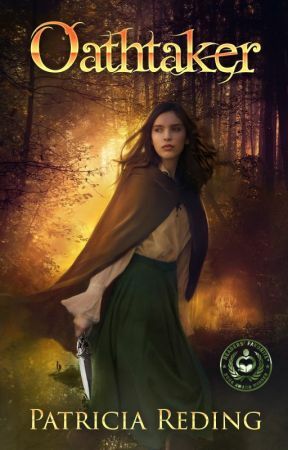 OATHTAKER won a gold medal in the 2015 Literary Classics International Book Award Contest and also won an award in the 2014 Readers' Favorite International Book Award Contest. There, it was also chosen as one of ten books (out of the many thousands of entries) that WindDancer Films (a film and television production company at http://www.winddancer.com) would like to take a closer look at . . .  Oathtaker has earned the Literary Classics seal of approval and the Readers' Favorite 5-star seal. OATHTAKER is the first of The Oathtaker Series. Currently, print and e-copies are available from Amazon and Barnes and Noble. Print copies are also available at https://www.createspace.com/4767727. Select: The Oathtaker Series, Book Two, was released November 21, 2015. Select has already earned the Readers' Favorite 5-star seal. Finally, you can follow her on Twitter at https://twitter.com/Oathtakers.